The south range of the house was mainly for the servants. 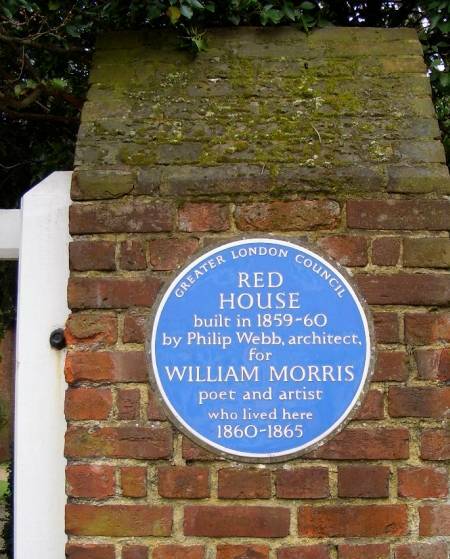 "Webb always paid as much attention to the planning of these areas as to the family rooms" (Red House 7). 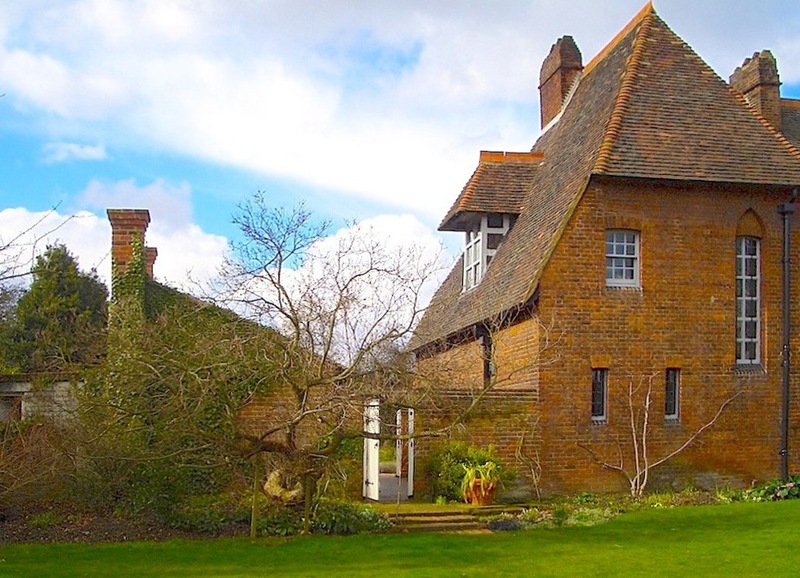 Proximity to the garden, where fruit and vegetables were grown, was important, and although there are few decorative elements here, there is a homeliness about this end of the house which is very appealing. The house had been built in an orchard, and some of the original fruit trees have survived, as has the general spirit of the original garden. Even in early March, when there are no blooms on the rose trellis or scent from the lavender, drifts of snowdrops and other early spring flowers make it a pleasure to explore. The walls themselves support a number of flowering climbers, with ivy beside the Pilgrim's Rest porch, blending house and garden together just as Webb and Morris had wished. Another way in which the house and garden were blended was, of course, through the flower and bird designs of wallpaper and textile hangings inside. In particular, "Morris's 'Daisy' and 'Trellis' wallpapers were inspired by the garden he created at Red House" (Red House 22). Painted panels, like those on the cupboard doors above the hall settle, also depict Red House's natural surroundings: the righthand door shows Burne-Jones feeding a cherry to his wife in the orchard.